The Tribal Festival Mondei 2011 is all set to kick off. 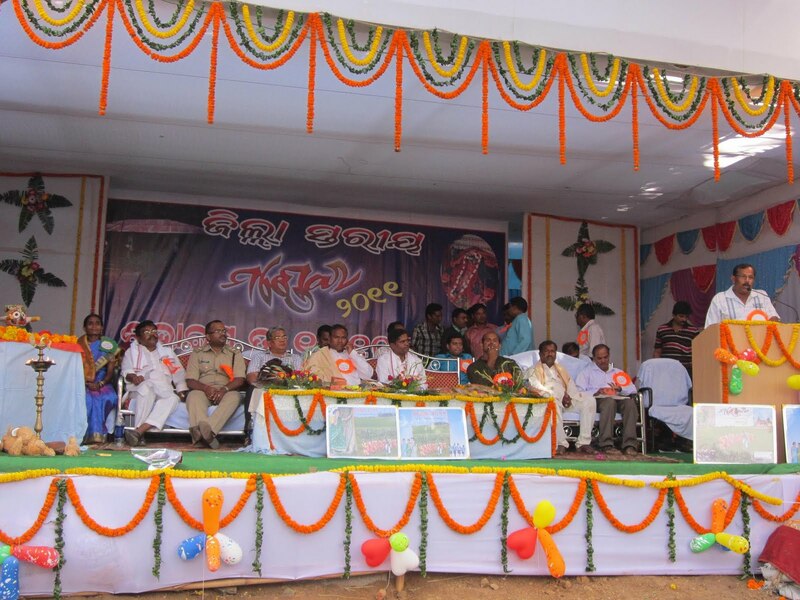 The festival was inaugurated yesterday in a grand fashion at the origin place of Maa Bhandara Gharani the presiding deity of the district, at Raj-Jagannathpur, under Nandahandi block. The Chief guest, IT Minister Mr.Ramesh Chandra Majhi inaugurated the festival, and described Mondei as a platform for tribals to showcase their hidden talents. Festivals like Mondei not only encourages tribal artists, but also contributes to increased tourist inflow into the district in particular. We should take advantage of information technology to take Mondei to all corners of the country, so that people elsewhere get attracted to this district. Collector Sibabrata Dash presided over the meeting said that the district is the abode place of nature where one can see dense green forest coverage, Varity of flora and fauna and abundant natural resources. It has a rich traditional values and divergent culture symbolizing the glorious past and heroic days. All steps should be taken to develop contact with travel and tour operators at the district and state level so that tourists develop interest to witness the rich culture variety of the district. Mr.dash appreciated the block officials and line departments, for developed the area in a short time. He assured to provide all facilities to the area as soon as possible. The block level festival would continue till 28 October, events like sports,tribal dances, dramas and songs are a vital part of it. Various teams and dance troups will be selected from the block level to perform at the district level celebrations, which will commence from 1 November and continue till 5 November. Nabarangpur MLA, Manohar Randhari, appreciated the efforts of collector, for selecting to start Mondei from the place of Rajjagannathpur and in short time developed the area. Minister Mr.Majhi unveiled the festival posters, the colourful posters showing the rich tribal heritage of yesterday, today and tomorrow. The posters will be displayed at various places in and outside the district to highlight the festival. Dance troupes from the Nandahandi panchayat level performed folk dances. To attract the tribals nacha performed for whole night. Among others, SP, Niti Sekhar, Former MP, Parshuram Majhi, Block Chairman, Hema Bhatra, Vice-Chairman, Dayanidhi Bissoi present at the meeting. ABDO, Nandahandi block, proposed vote of thanks.